My son has become completely enamored with Jack o’ Lanterns this year. 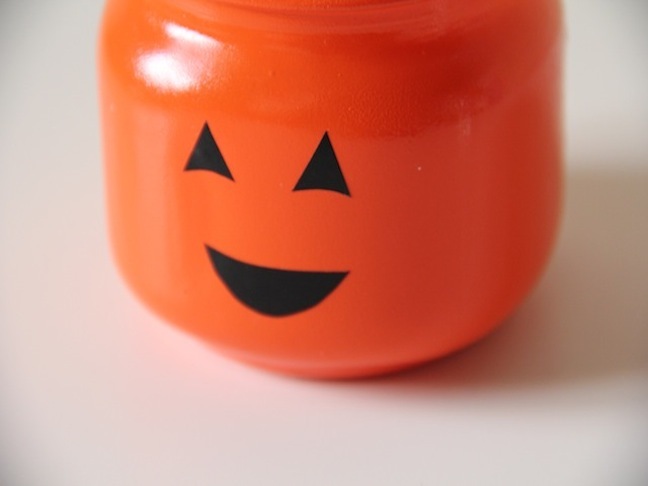 Since we only have so many pumpkins we can carve together, I wanted to make him a little something that he could carry around with him this week for Halloween. 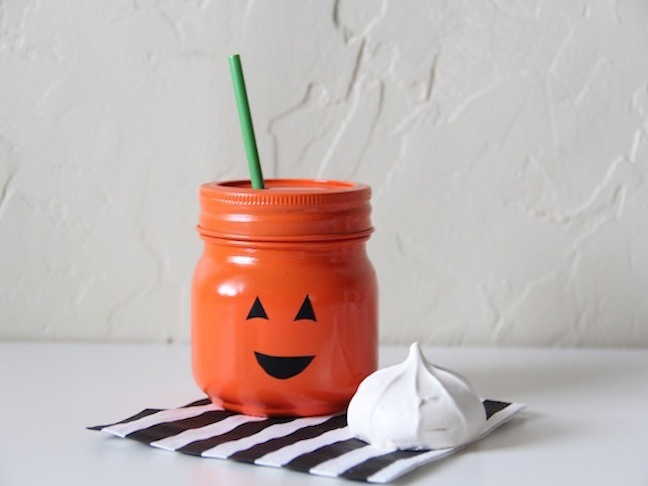 This Halloween craft is great for just your kiddo, or if you’re throwing a party, you can make a slew of these mason jar kids cups with varying Jack o’ Lantern faces, fill them with juice, and line them up on the drink table. 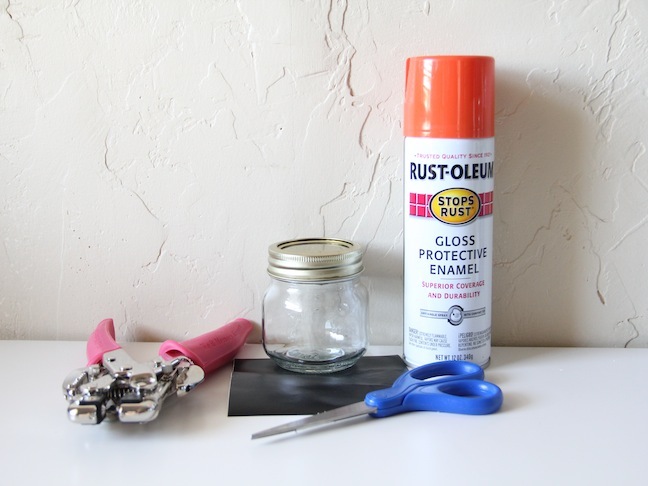 Step 1: Spray paint your jar(s) with the enamel spray paint. You’ll want to make sure they are completely dry before you handle them. It’s best to wait 12 to 24 hours. 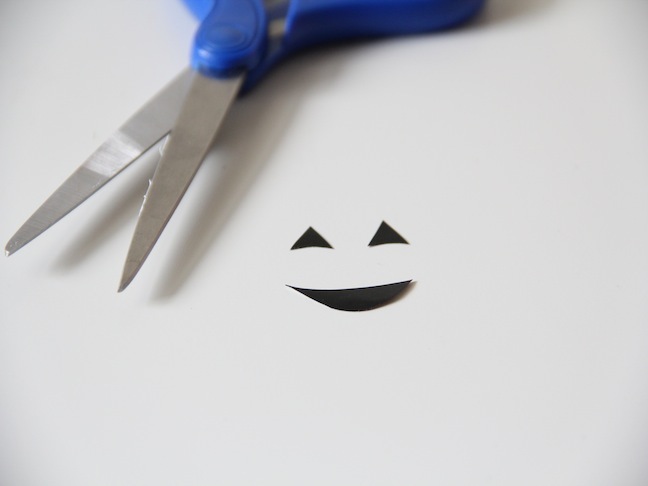 Step 2: While you’re waiting for the jars to dry, cut out the jack o’ lantern face from the contact paper. 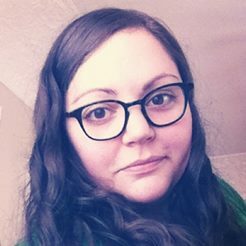 If you want a happy face, try arching the bottom of the eyes. It works! Step 3: Once the jars are dry, add the face! Doesn’t he look happy? 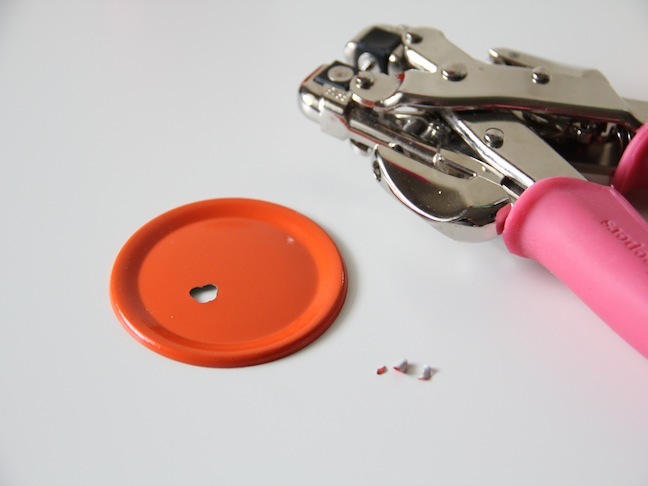 Step 4: Take your hole punch and punch out three or four circles until your hole is wide enough to clear a straw. Step 5: Reassemble the jar, add your straw, and enjoy your new adorable cup! 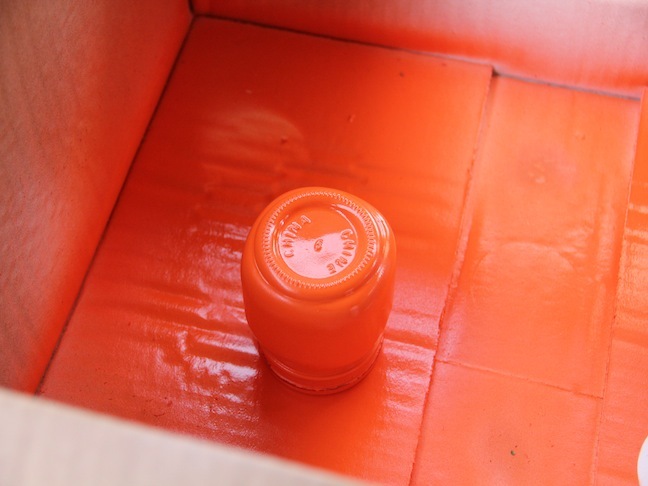 Close the lid tightly once you fill the jars with drinks, and be sure kids only drink from the straw and NOT directly from the spray painted jar.